Today's blog post comes courtesy Josh Anish over at Knewton. Enjoy! I tutored for years before joining the tremendous team here at Knewton. And during those salad days spent lugging the Big Blue Book around Gotham, parents always asked me to prioritize the components of the college application for their students. Here was/is my unscientific answer that I nonetheless feel strongly about, ranked in order from greatest in importance to least. Josh From Knewton, Sayin' Hey. 1) Grades. There’s no substitute on your college apps for a strong GPA. Colleges are looking for good students, and the best way to show that you’re a good student is, well… to get good grades. Obviously you should strive to have an impressive GPA throughout your high school career, but if you had a few slip-ups early on, don’t worry too much; colleges give more weight to your performance during your junior and senior years. 2) SAT score. Love ‘em or hate ‘em, the SATs still mean something. The SAT is not an intelligence test; students’ scores can jump up to 400 points if they prepare diligently and correctly. Hence the need for a good SAT course. 3) Personal statement. This is your one shot to really introduce your personality to an admissions board. It’s like you’re running for President and you’re on national TV at the convention: You get a podium and only a few minutes to make your case to the voters. The task of organizing all the admissions essays you need to write is a notoriously difficult one, but the good folks here at College Essay Organizer provide a tremendous tool that is extremely helpful. 4) Extracurricular activities. These might have ranked higher a decade ago (before Rushmore came out), but now they’re in their rightful place at #4. The marketplace is very crowded, and you can only start so many clubs. Nevertheless, colleges really want a vibrant campus, filled with students trying and doing new things. Show focus; do a couple of things and do them well. Don’t spread yourself too thin and/or try to preen for admissions officers. 5) Teacher recommendations. The challenge here is to choose your recommenders wisely. Colleges have seen great recommendations of all shapes and sizes, and a sweet letter surely works in your favor. It is more important, however, to be cautious of a bad or— more likely—a lukewarm recommendation. In short, play it safe and ask the teachers who really seem to have taken an interest in you, instead of the aloof teacher who has a reputation for writing flowery letters. 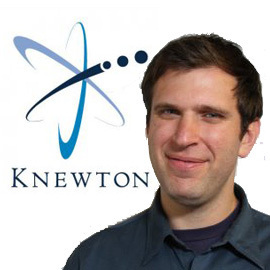 Josh Anish is the Senior Editor at Knewton. He’s getting fired up to help students with their SAT prep.